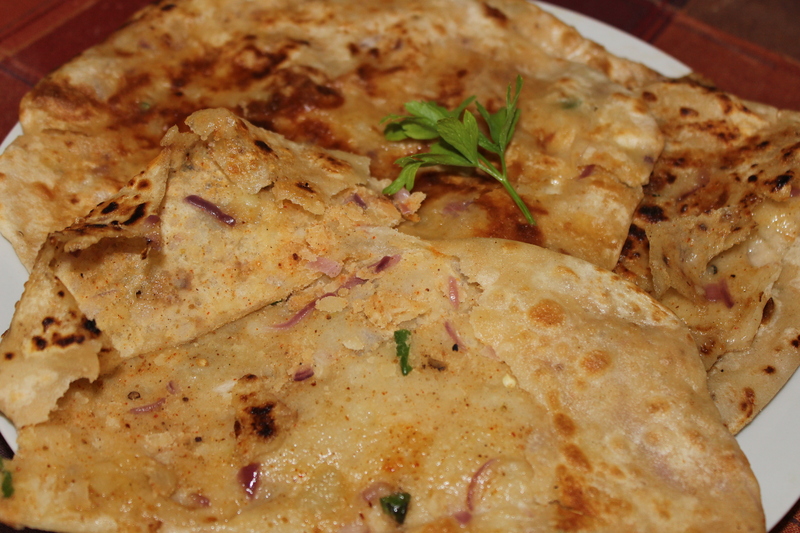 Among all the stuffed parathas , Aloo paratha is always my # 1 and it will remain so for the rest of my life for sure !!! 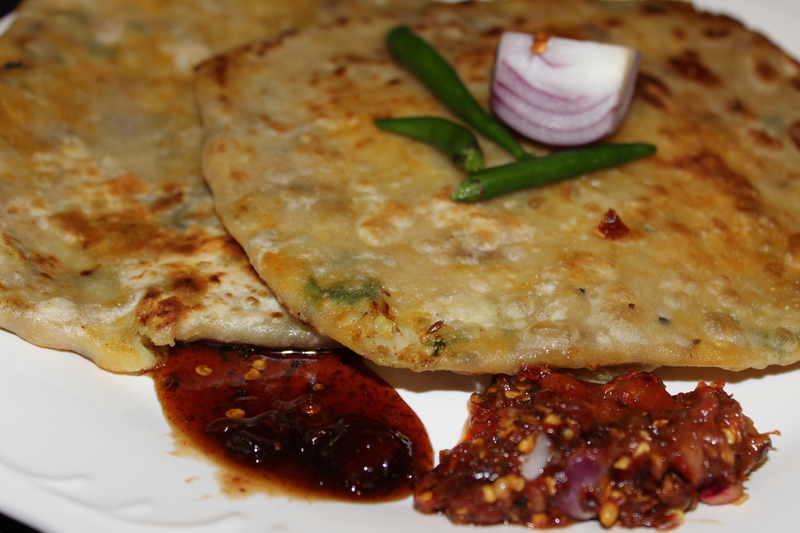 I made several versions of Aloo paratha . Some are flaky , some are crisp , some are spicy . 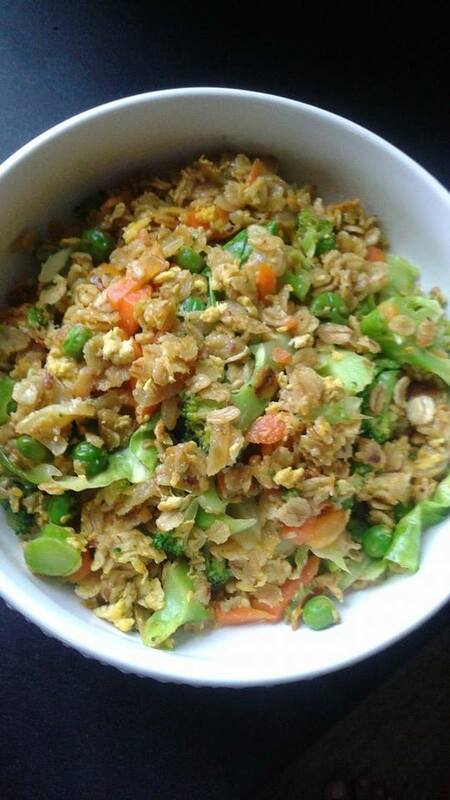 The version I’m sharing today is very simple but tastes so good !! 1. Mix all the ingredients mentioned above for filling . Set aside . 2. 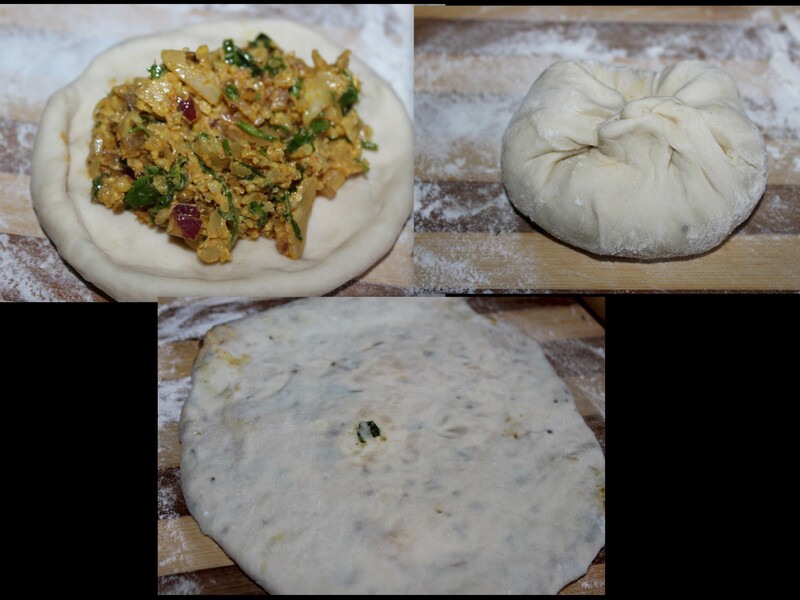 Make a dough with the ingredients mentioned for the paratha dough . Knead very well . Then cover it with a damp cloth for about half and hour . 3. Make balls from the dough . You will have 3 balls from the dough . Roll them into a small disk . Now put some filling in and seal the ball . Now roll it into paratha . 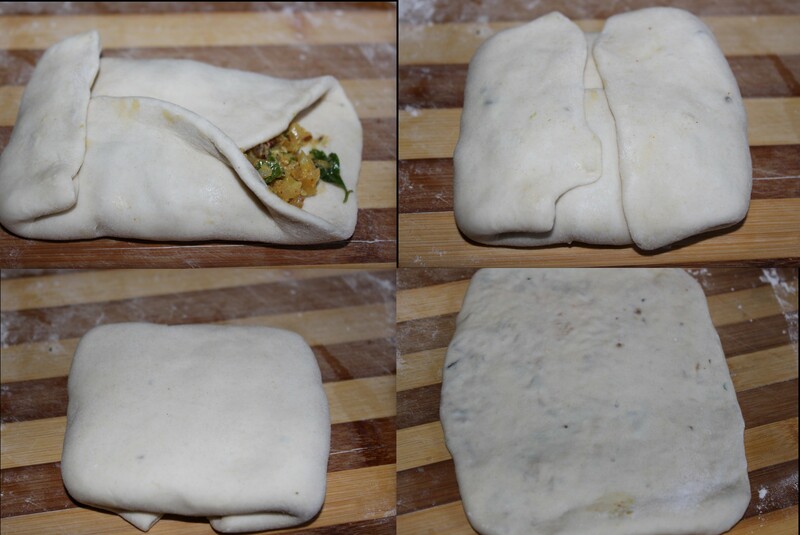 If you want square paratha , roll the small balls , then fill in with the fillings and Fold the edges like the picture and roll out . I find the second square method perfect . The filling from the paratha come out less while rolling , looks fabulous!!! By the way , don’t worry when you see , filling is coming out from the paratha while rolling them out . It’s quite okay . Make sure , you have put enough filling into the paratha . 4. Now fry the parathas without oil first then fry adding 1 tbl spoon ghee pr oil on each side of the paratha . 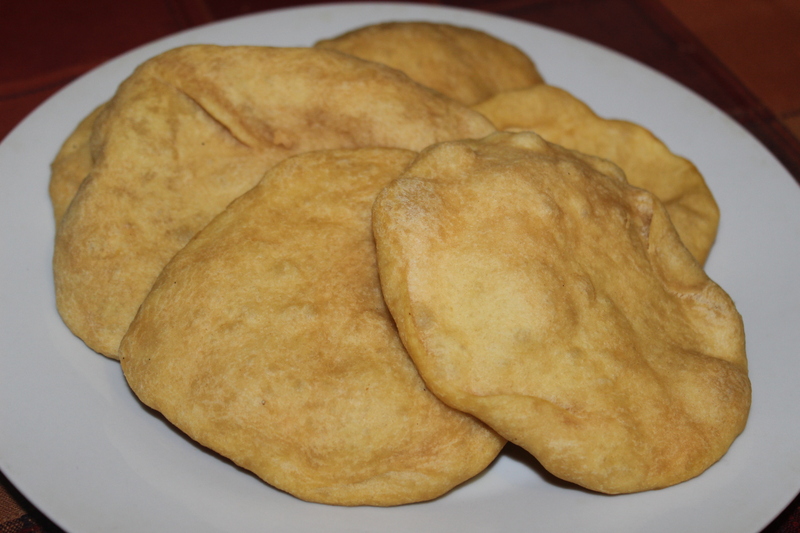 If you want a crispier version fry the parathas using more oil or ghee on medium low flame . 1. Steam the chopped florets or microwave in a closed lid box for 2 minutes . Then coarsly mash it with hand or masher . 2. Heat oil or ghee . Now add the whole coriander , ajwain and jeera . Now add the ginger paste . Fry for a while . Add little water, around a tbl spoon , then keep adding turmeric and chili powder . Add the steamed cauliflower and salt . Fry for a while . Turn off the stove and add the chopped onion , green chilies , jeera powder , chaat masala , chopped cilantro and mix well . When cooled down add some frozen butter and mix with your hand . 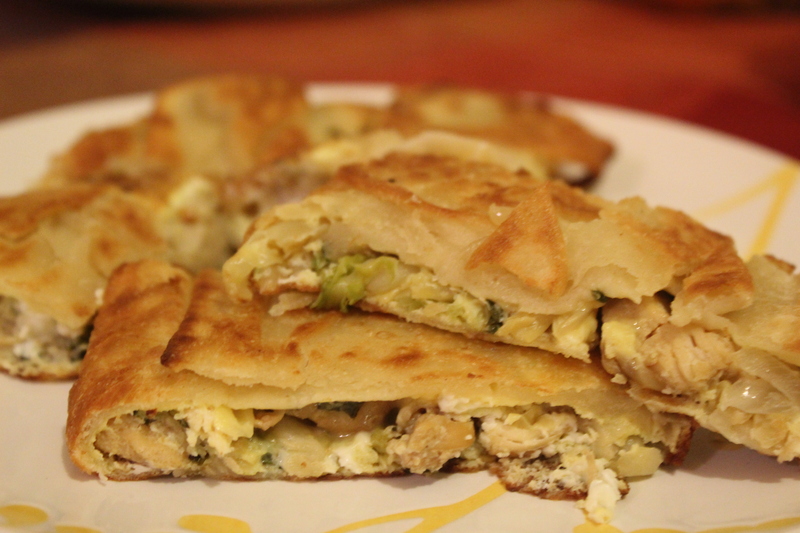 You can keep the filling in the refrigerator until you start making the parathas . 3. 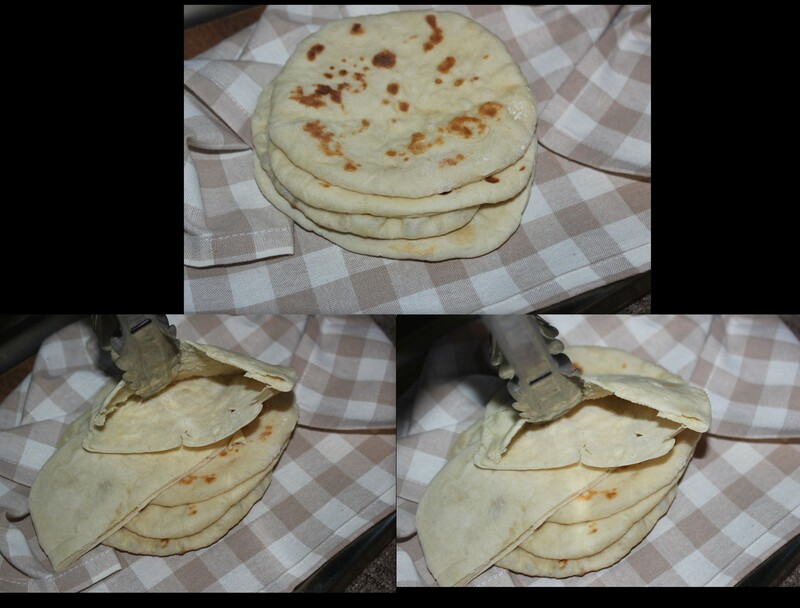 Make a dough with the ingredients mentioned for the paratha dough . Knead very well . Then cover it with a damp cloth for about half and hour . 4. Make balls from the dough . You will have 3-4 balls from the dough . You can roll them into a small disk or you can use your hand . I used both the techniques . Now put some filling in and seal the ball . Now roll it into paratha . 5. Fry the parathas without oil first . 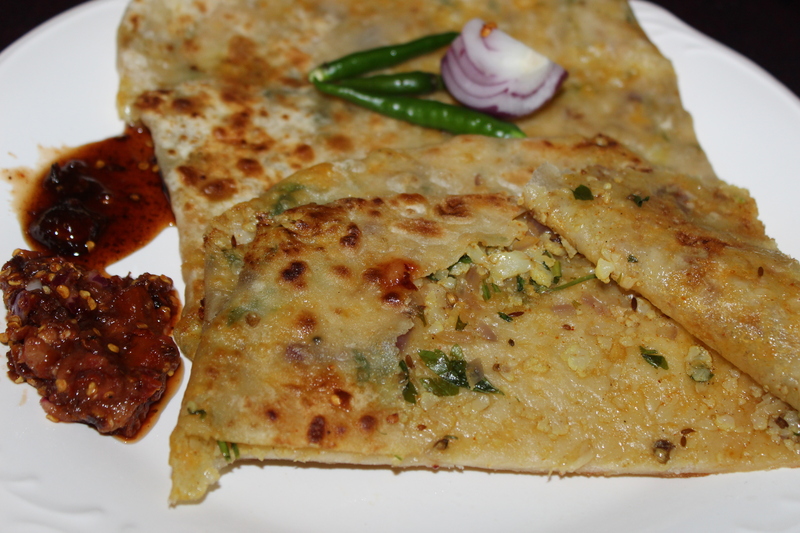 Then add 1/2 tbl spoon oil or ghee on each side of the paratha and fry until the surface is crispy . Enjoy with chutney and pickles !!! 2.Cut the brown edges of bread ( not necessary ). Spread butter on each slice . Now cut in cubes . 3. 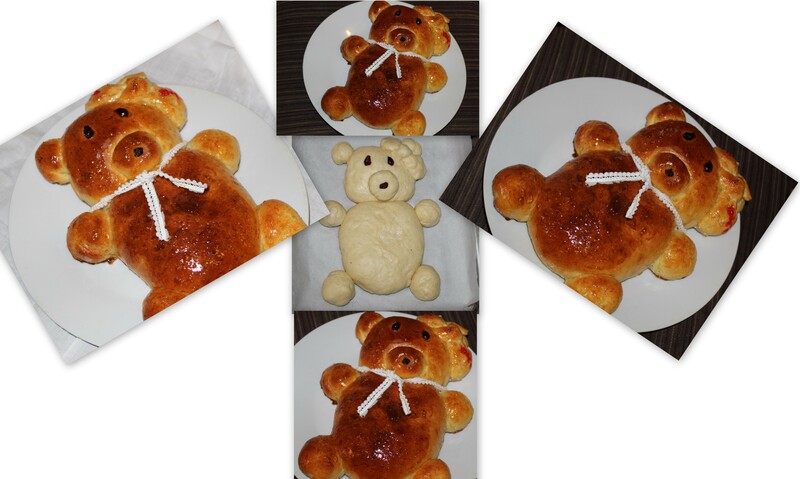 Arrange the bread slices on the vaking ware . 4. In another bowl beat egg , milk and sugar with a fork . You can use the blender too . Now add cinnamon and nutmeg powder and vanilla essence . Add the melted butter . 5. Pour over bread until they are covered . Lightly press down with the back of the spoon to make sure the mixture is well absorved . 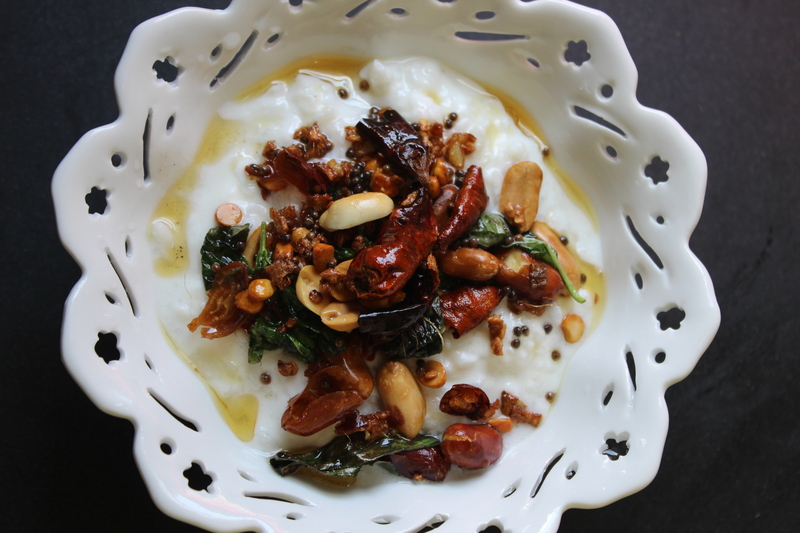 You can add some dry fruits over it at this point . Let it rest for 15 -30 minutes until the milk is almost absorbed . 6. 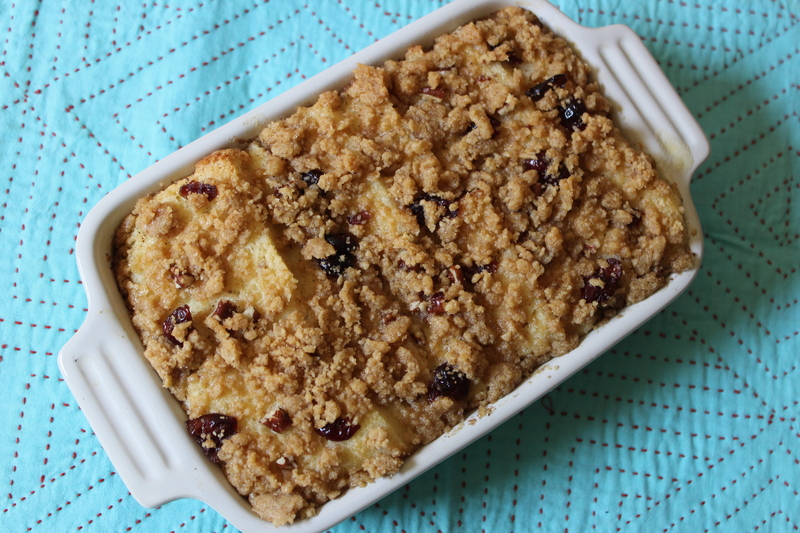 Now make the crumble . Cut the butter in small cubes . Mix flour and sugar . Now add the butter and mix with your hand until crumbly . Now spred it over the bread . 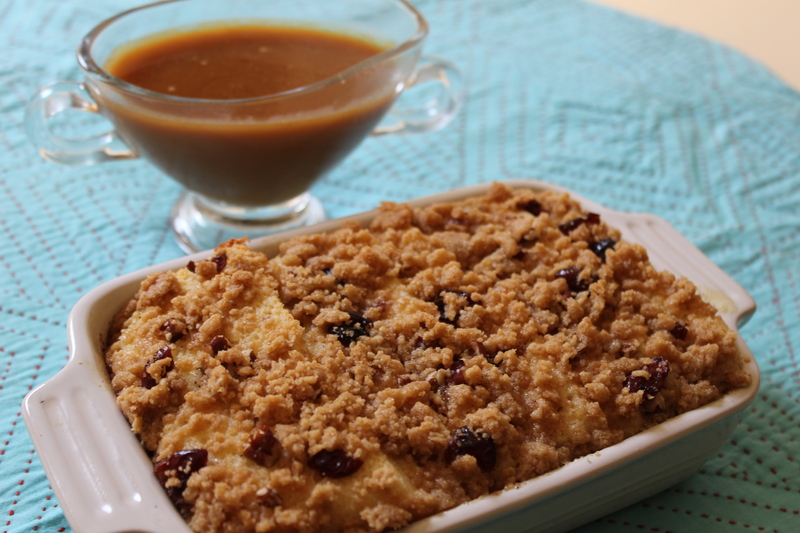 Serve with caramel sauce !!! In a pot add butter and sugar . Heat until the butter melts and the sugar is incorpared in the butter . Add the heavy cream and vanilla and allow to thicken a bit . Ready ! !